The Fool has written over 300 articles on NetApp. 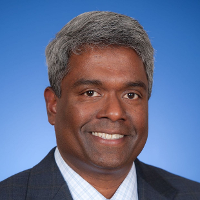 After an initial rise and fall during the tech bubble, NetApp has achieved business momentum with its new product suite. NTAP earnings call for the period ending January 25, 2019. The data storage expert beat analyst estimates and issued mostly solid guidance, but investors focused on small imperfections to justify some profit-taking after a strong run. NTAP earnings call for the period ending October 31, 2018. The data-management veteran is enjoying a second wind thanks to the success of its cloud and solid-state solutions. On a day stocks continued to rebound, NetApp reported strong profit growth and TripAdvisor announced a rise in revenue. Investors wanted another beat-and-raise performance in the third quarter, but had to settle for a mere beat-and-reiterate report. The data storage expert's shares rose on positive comments from a couple of Wall Street analysts. The enterprise storage leader fell in spite of a strong quarterly earnings announcement. Here's what investors need to know. The enterprise storage specialist overcame a tough start to 2016, with one stellar report late in the year. Here's what investors need to know now. The data storage company jumped on a strong earnings report. Industry, sector and description for NetApp.